Just in case there was any doubt “@jasonnobleDMR: Branstad flat-out says it: Today's #IAFreedomSummit is the start of" #IAcaucus campaign. 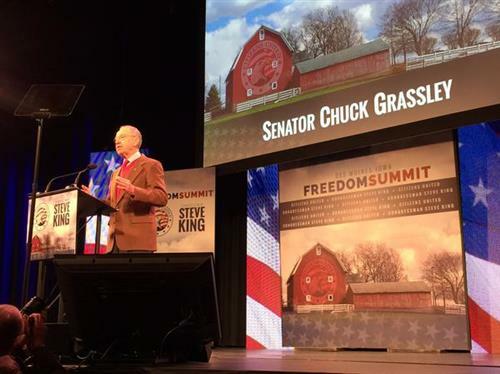 “@KObradovich: “I’m Chuck Grassley, an Iowa farmer.” - @ChuckGrassley #iafreedomsummit” Mike drop! Sen. @ChuckGrassley on stage now at #IAFreedomSummit. Says he's not going to talk about POTUS because "it's so obvious we need a new prez."
. 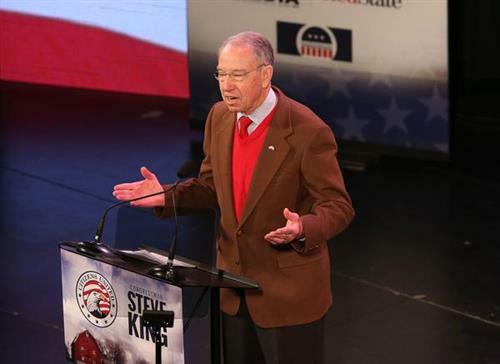 @ChuckGrassley at #IAFreedomSummit talking about need for new Attorney General.
.@ChuckGrassley: "I'm not a lawyer"
Apparently in opposition to... higher education? Senile @ChuckGrassley just called Eric Holder "William Holder." 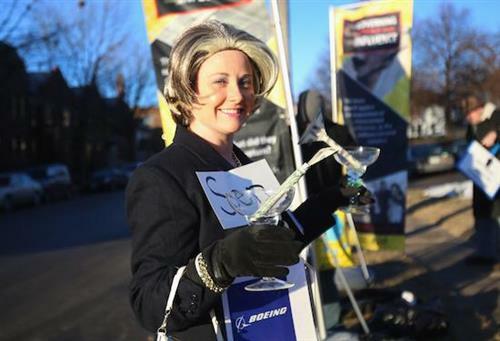 Anyone taking parade of assholes #IAFreedomSummit seriously? Gtest question. 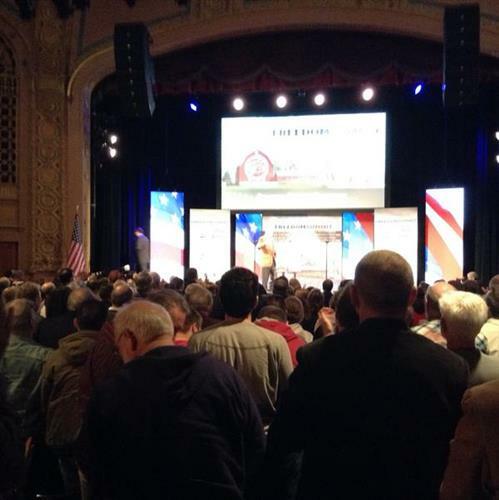 #IAFreedomSummit #FreedomSummit RT @hemantmehta: @iowaatheist247 What are they doing to keep church and state separate? Great question for all! #IAFreedomSummit #FreedomSummit @hemantmehta: @iowaatheist247 What are they doing to keep church and state separate?
. 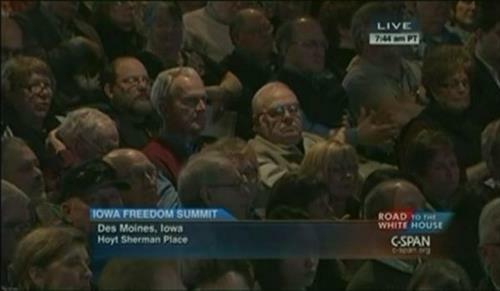 @ChuckGrassley at #IAFreedomSummit on next POTUS: It's about the Constitution, or whether a pen and a phone can replace it.
. @Senator_Hatch did you make your 1500 Woodland property available to counter-demonstrators at #IAFreedomSummit?